I'm about half way through this season... Misty gets her Winter Soldier arm, and Luke is a step closer to being a "Hero for Hire." Colleen Wing has made an appearance, as has Foggy Nelson. I'm sure Danny (Iron Fist) Rand can't be far behind! Dang it I want Danny and Luke to form Heroes for Hire and Misty and Colleen to be the Daughters of the Dragon! Please let this happen next season! 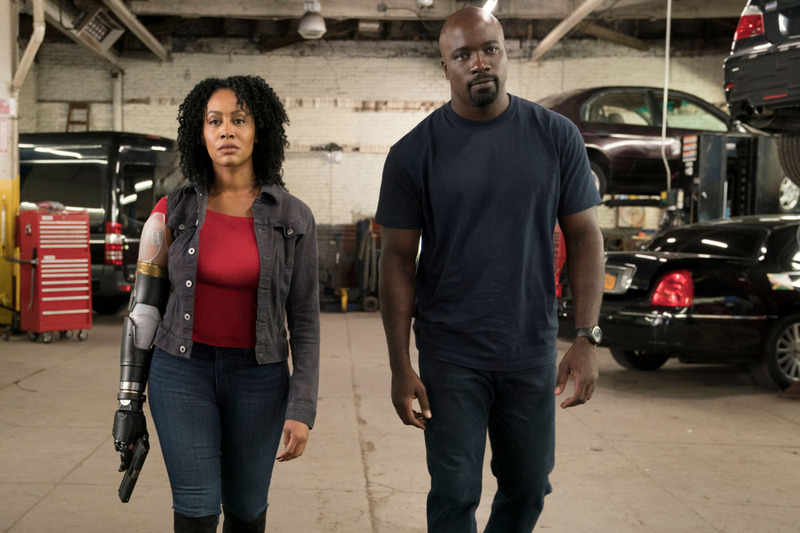 I'm liking it so far... what do you think of season 2 of Luke Cage? Comment bellow. Halfway through the season? I barely made it halfway through the first episode of the entire show! Wife and I binged it this weekend and finished it off... I liked Danny better in the episode he was in than in Iron Fist... The ending was interesting... I look forward to a resolution.